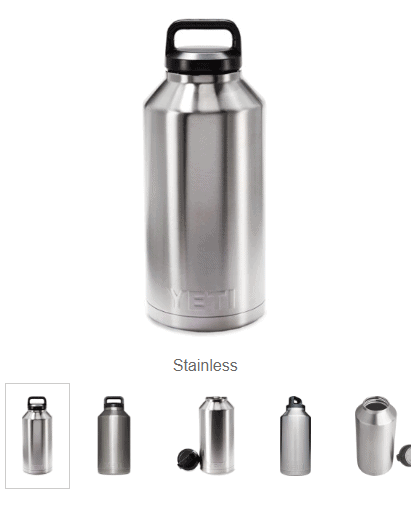 Check out this YETI deal I found on REI. Right now they have the YETI Rambler Vacuum Bottle – 64 fl. oz for $37.29! That is down from the normal price of $69.99. It is on sale for $49.73, but you can use coupon code HOLIDAY25 through 12/24 to get an extra 25% off! You can see other items you can use the coupon code on here.